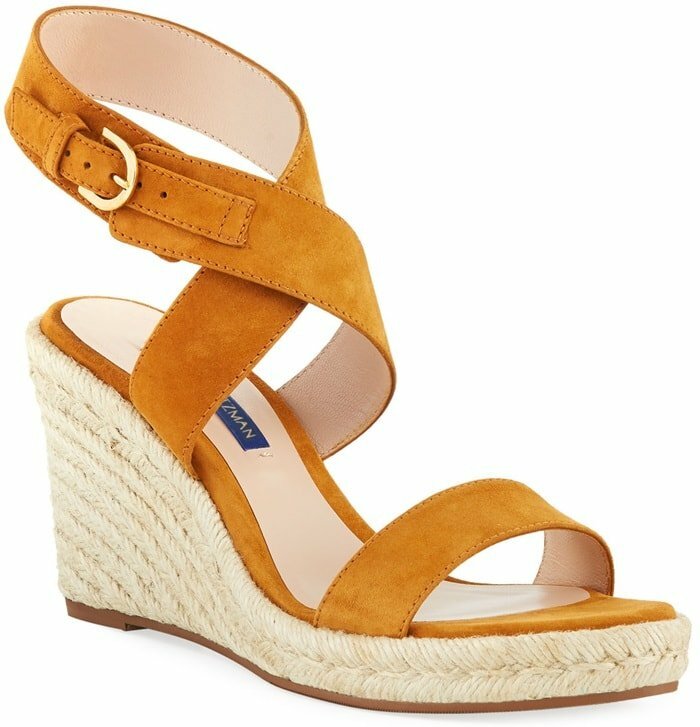 The Lexia espadrille wedges from Stuart Weitzman are equal parts laid-back and luxe with a classic woven jute sole. Wide wraparound ankle straps in suede or Nappa lend a modern touch. Put these everyday must-haves on display with midi hemlines or cropped jeans. 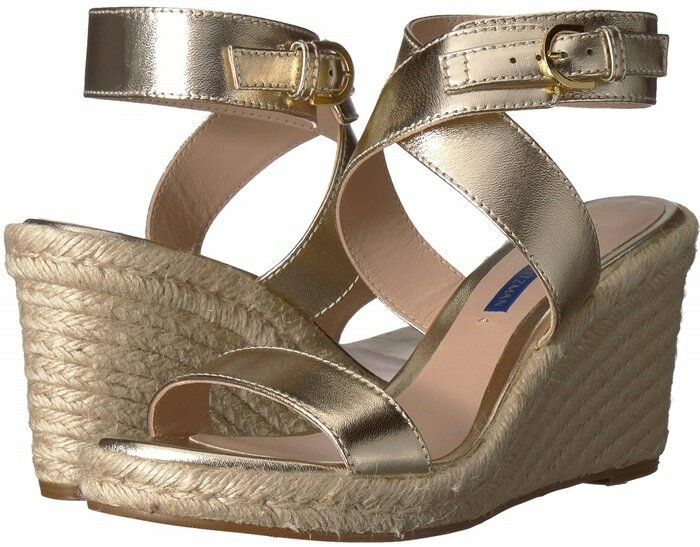 These sandals are set on manageable 85mm wedge heels with sturdy platforms, making them an equally chic and comfortable choice for summer parties. 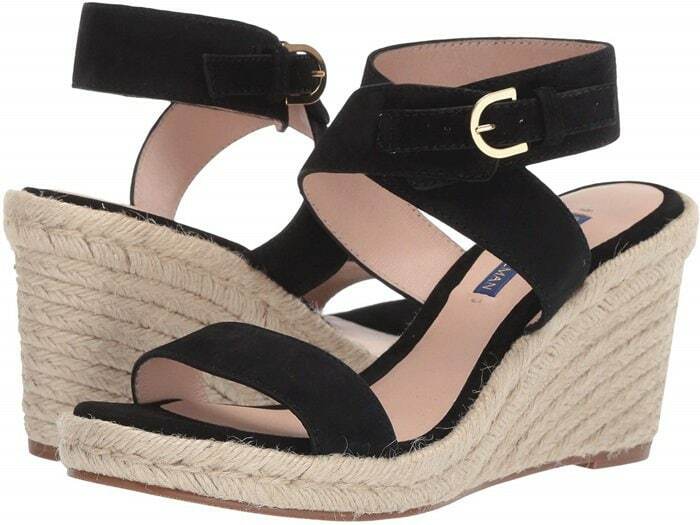 Made in Spain from velvety suede, this pair has flattering crossed straps and rubber sole for added traction. Complement the rich brown hue with a red or pink manicure. 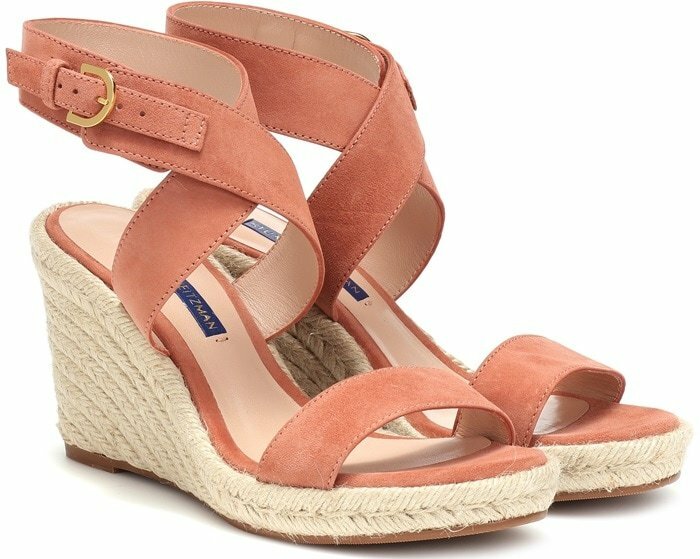 A classic sandal to elevate your sun-chasing style is crafted with a gracefully crisscrossed ankle strap and a jute-wrapped wedge sole.